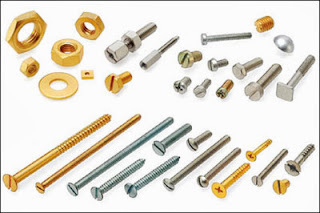 Screws, fasteners, nuts and bolts are every industrial and construction worker's best friend. Even a do-it-yourself handyman needs to have these in his toolbox. It is important that every worker have a working knowledge on these hardware accessories. Knowing the right type, size, measurement, use will avoid unnecessary mistakes and thus, increase productivity. If you are looking for good buys, click here to find quality stuff.